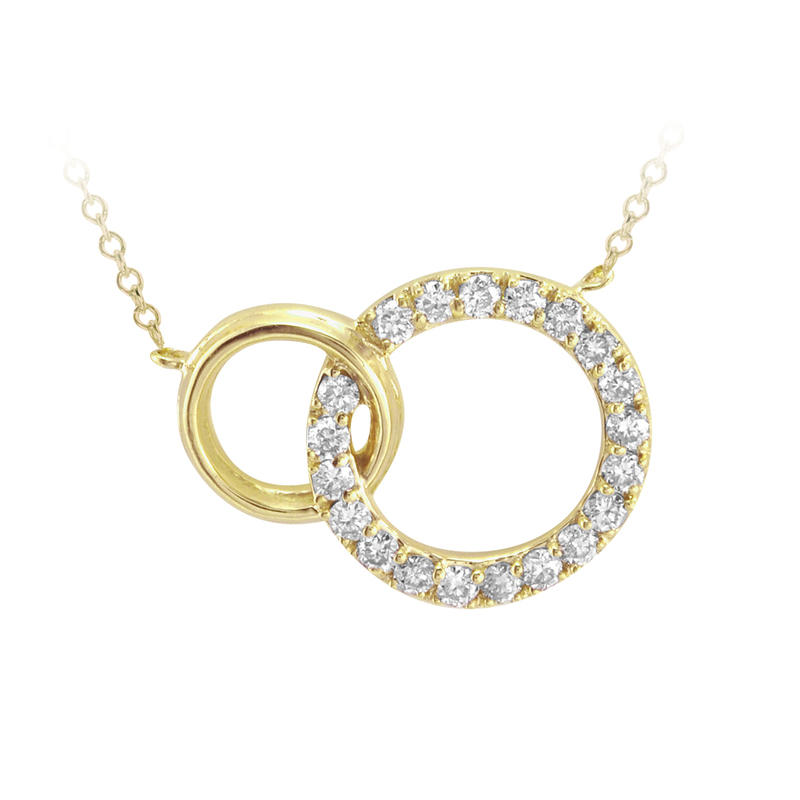 14 karat gold double circle necklace set with diamonds on an adjustable rolo chain. Available in white, yellow, and rose gold. I am requesting information for Double Circle Necklace Set.